This is so amazing!! I love the background and I love love love that umbrella man is now Mary Poppins! Kim, you did a fantastic job of transforming the Umbrella Man to Mary Poppins! hen I saw your first photos, I thought to myself...now where did she get that die?? Your background is supercalefragelistic, too! Well done, and your sister is going to treasure this! 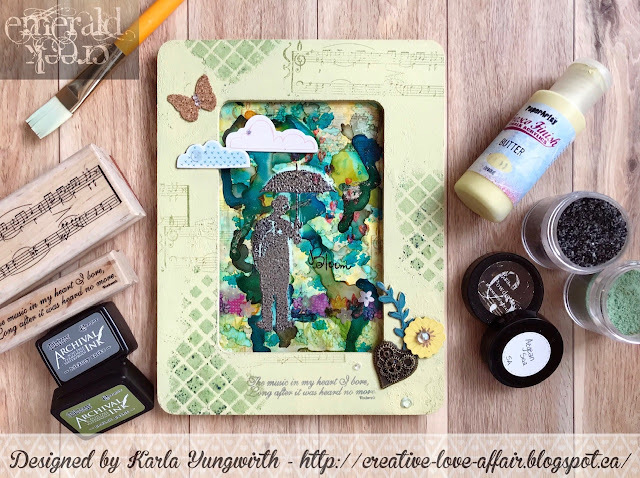 Are the Grit Paste and Wendy Vecchi mists available in your shop? If so, they need to go to the top of my shopping list! Hugs! So cute! You did a beautiful job and I'm sure your sis will love it. I will have to do the Creative Chemistry classes soon, they look awesome! This is a fantastic project! I love the details, and I agree, these are fabulous classes. I'm still working through them! Thank you so much for commenting and checking us out! The wind proof umbrella 🌂 sounds awesome.